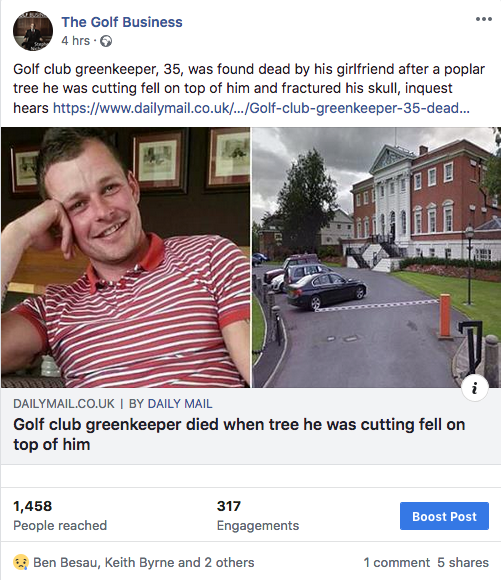 A 35-year-old greenkeeper died after a poplar tree he was cutting fell on his head and fractured his skull, an inquest has heard. His girlfriend and her father later found his body. Father-of-one Martin Davenport, probably died instantly when the tree hit him in Christleton, Cheshire, in January last year. A jury inquest at Warrington Coroner’s Court has been told that Davenport suffered a fractured skull and brain haemorrhage. His body was later discovered by his girlfriend Megan Grindley and her father when they went to search for him. A jury inquest is required by law if a death occurs following an accident at work. Davenport worked as a greenkeeper at Eaton Golf Club but was acting as a self-employed contractor when he was hired to cut down poplar trees. Health and Safety Executive inspector Simon Bland said the tree involved was leaning, causing it to act like a ‘spring’ with compression on one side and tension on the side nearest Davenport. The trunk then split and kicked out. Bland said he was happy with the tree felling training Davenport had received through his golf club job and the equipment he was using. 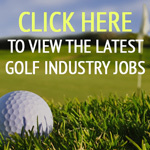 Eaton Golf Club head greenkeeper Gavin Clarke described him as “a great worker” with “a really good skill set”. The jury found Davenport suffered a fatal blow to the head because the tree fell and split in ‘an uncontrolled manner’. With the direction of Cheshire area coroner Claire Welch, they concluded Davenport died from an accident. Davenport is survived by his parents Kathy and Shane, sister Sian and his nine-year-old daughter Isabelle. He had remained friends with her mother Laura, from whom he was separated. Oh my lord!! Prayers for the family and friends. What a horrible tragedy! I hope they change thier policies. We never left any staff alone tree trimming at our clubs. So dangerous! He was too young! !